“Share your story!” is a popular buzz phrase for communicators these days. This push for authenticity can leave us, as writers and speakers, uncertain about how much is too much, too little, or just right to share with our audiences. To use our stories as a “powerful tool” rather than a “reckless weapon,” we need to know when we’re ready to share with our audiences—and when we’re not. Speaking or writing about painful parts of your story before you’ve processed the pain can hurt your audience. They can put so much energy into feeling sorry for you that they don’t receive personal benefit from your message. Sharing too soon can also hurt you or your loved ones. You can slow down your own healing process by receiving feedback from too many people before you are ready. And, when other people are part of your story, you need to consider their readiness. If it’s not yet time for you to write or speak about painful parts of your story, there are valuable things for you to do. Value your wait time. Don’t rush into telling your story. Honor the time you need to process and heal. Share parts of your story with a counselor or a trusted friend. Journal your emotions, thoughts, feelings and memories. You will have valuable content to draw from later. Waiting time is valuable time, not wasted time. Is It Time to Share Your Story? I’ve lost and gained a lot of weight many times in my life. I struggled needlessly for years with merry-go-round dieting and feelings of discouragement, condemnation and defeat. Worst of all were the unnecessary feelings of shame. After a season of healing, during which I found lasting freedom, hope and joy, I knew it was time to begin speaking and writing about my experiences. It is always uncomfortable for me to share so openly things that most people rarely even tell close friends, let alone large audiences. But I felt an urgency to share with others what had made such a dramatic change in my life. The drive to raise awareness about grace-based, rarely-discussed ways to lose weight caused me to press through my fear of sharing. I began sharing my story with small groups and discovered that it’s satisfying to press through the discomfort and fear of sharing so vulnerably. Telling my story is about my audience, not about me. It’s thrilling to see from the listeners’ expressions that they are connecting with my story and experiencing hope and healing right in the moment. Sharing my story connected me to my audience and my readers. As they shared specific ways my story was having a radical impact on their lives, my confidence grew. Your story can make a significant difference in the lives of others. Help you to stretch yourself and not allow fear to hold you back. Encourage you when you feel exposed, discouraged or doubtful. Give you honest feedback when you are sharing too much or too little detail. Your audience needs your message. After years of sharing vulnerable details about how I made peace with food, I noticed changes in how sharing such tender parts of my life was affecting me. Sharing my weight-loss stories and photos began to trigger panic in me. I tried to just press through the anxiety, because I wanted to continue to serve my audience. Finally, I had to decide. Was it more important to keep building my platform or to take a personal break and pay attention to where I was headed emotionally? Ultimately, I did continue to write and speak—on different topics. What about you? Is there a story that you’ve been telling for a while, but you’ve been noticing a change in how you feel while telling it? Did you once feel excited, but now feel numb? Did you once feel relieved after you pressed through the fear of telling it, but now sharing it increases your anxiety? Did it once resonate with your audience, but they no longer respond as they once did? Trust your gut and give this story, and yourself, a rest. As writers and speakers, we can bring healing and encouragement to our audiences through our stories. Mary Lou Caskey is a life coach, speaker, and blogger who helps Christian coaches and communicators reach more people through their business, ministry, and message. 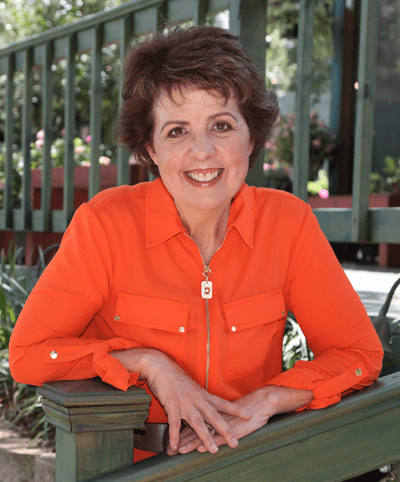 Mary Lou loves getting to know other coaches and communicators—she’d love to connect with you at www.maryloucaskey.com.